Why have an unplugged ceremony? After months of preparation it all leads to you walking down the aisle and seeing the faces of your loved ones. As you stand in front of them and say your vows you’re in the moment. 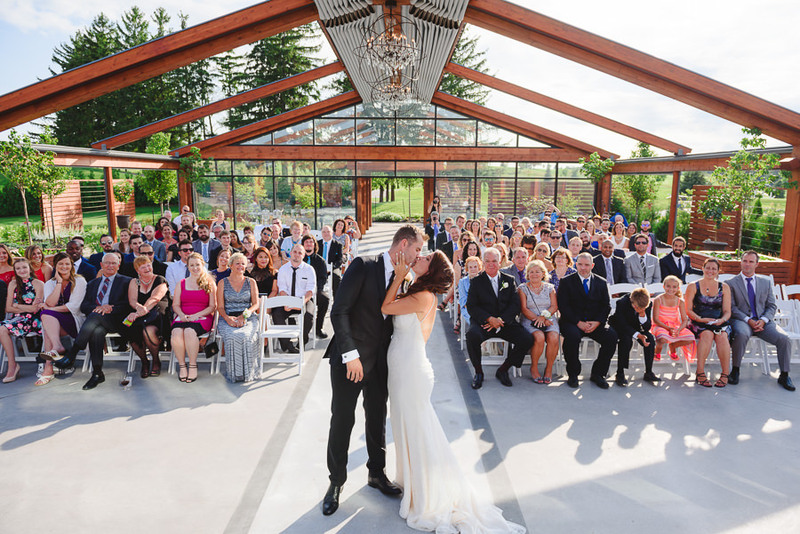 Not surprisingly, your guests will want to take photos. Taking photos and posting them on social media take away from paying attention to the reason why they’re there. To witness your commitment to each other. When the distraction of phones goes away you get amazing photos of real emotions like your parents smiling and guests laughing and crying. An unplugged ceremony is when guests are asked to put away their devices so they are present during your “I dos”. As you walk down the aisle you’ll look into the faces of your loved ones, not into the backs of their phones. Your guests will watch you exchange vows without the distraction of taking photos and posting them online. 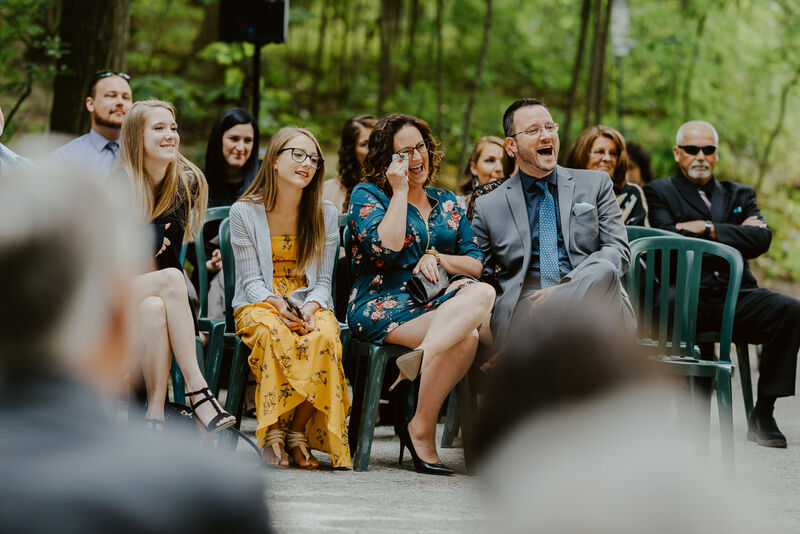 Leave it to the professionals to capture the ceremony. This also helps prevent guests from unexpectedly popping up in important photos such as the first kiss. 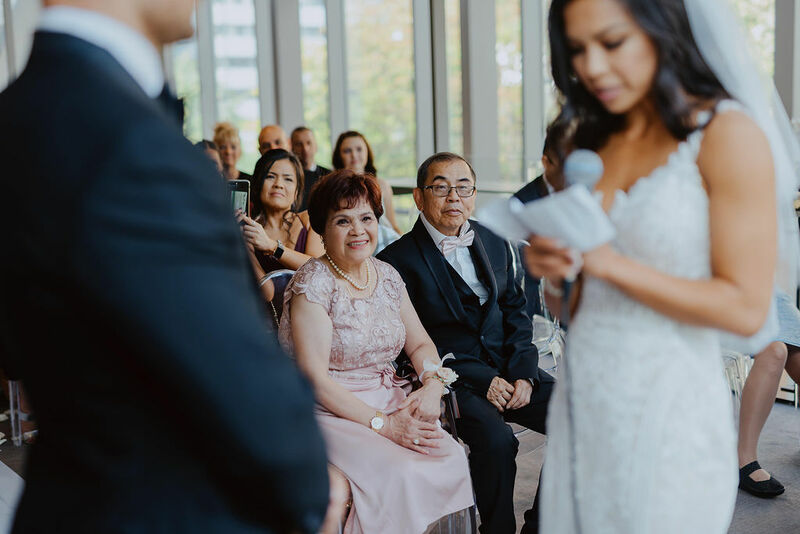 I once had a groom’s uncle standing next to the bride taking photos throughout the entire ceremony! During the ceremony, I take photos of the couple and candids of the guests. I hide in-between taking photos so that guests can enjoy the ceremony. I consider this good etiquette for photographing the ceremony. Often guests with cameras are so focused on getting the shot that they’re unaware they’re blocking the views of others. There are many parts of the day where your guests can take selfies and photos, but your ceremonydoesn’t have to be one of them. After your wedding, I provide a sneak peek and a slideshow of your wedding photos a week after the wedding. These can be shared with your guests so they won’t feel they missed out by not taking photos. How do we ask our guests to put away their devices? 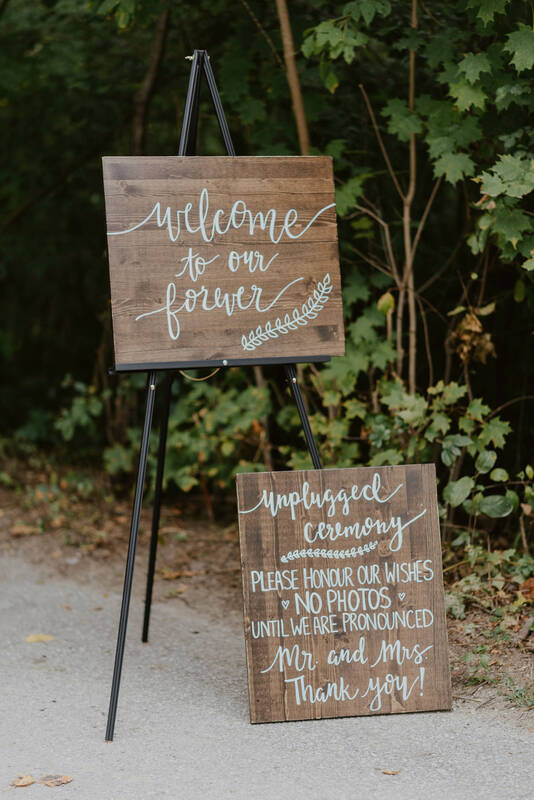 This trend of unplugged ceremonies started because of couples who wanted their guests to enjoy the ceremony instead of being distracted by their phones and cameras. Your wedding day is about the two of you, not about what’s expected. Have fun and make it as original as the two of you.